Whether you are looking to party, dance or go for afterwork drinks with dinner or nibbles, you’ve come to the right place. 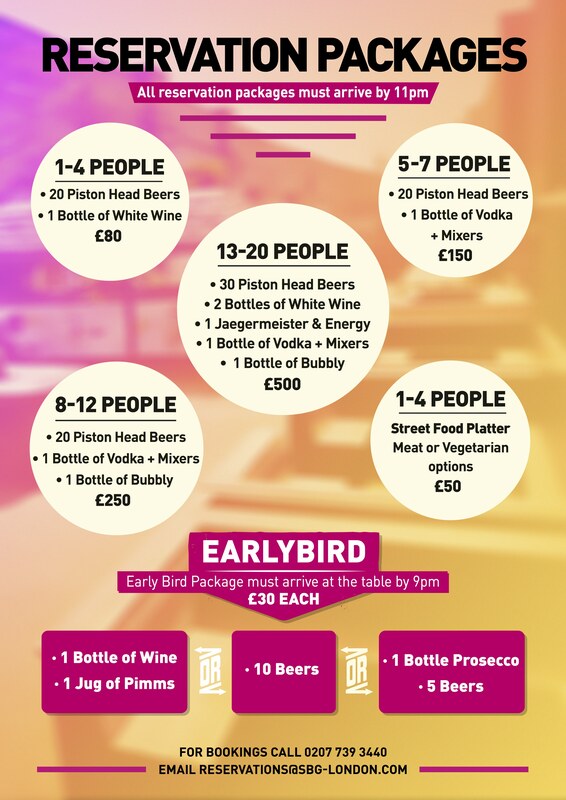 You can see our great offers on selected drinks packages here and great table booking offers here. 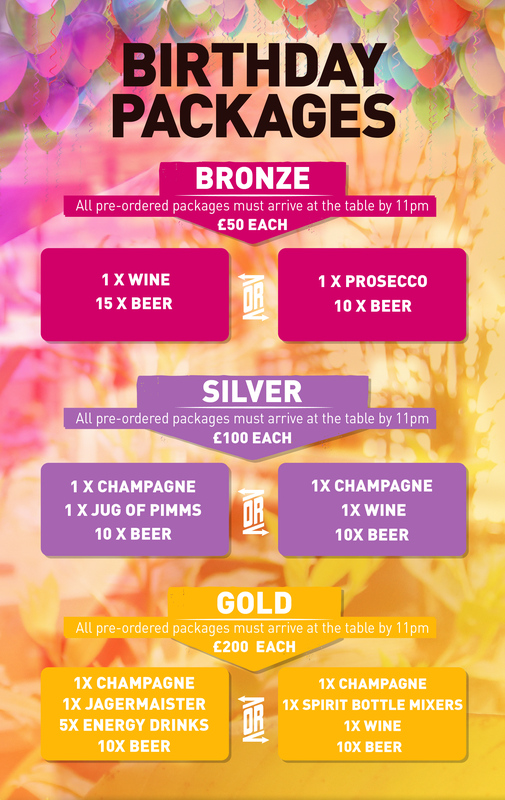 For more information on reserving that special spot in our venue please click on ‘Booking’ or contact our reservations team on 0203 325 9739 or reservations@sbg-london.com.